I’ve got some exciting news! In my second week back to the gym, I have beaten my fastest mile. Don’t laugh at the number; this is a big deal for me! I started years ago at a 20 minute mile. (Yes, that is basically a walking pace.) When I started trying to time my fastest mile this year, I began at about 17/16 minutes. I dropped down to 15 minutes, and then beat that with 14 minutes. I am now down to 13:46 minutes! I didn’t even want to go to the gym last night. If it weren’t for my husband, I definitely wouldn’t have gone. He motivated me to carry on, to stick with my plan. We got to the gym at 6:00 and left at 6:20. 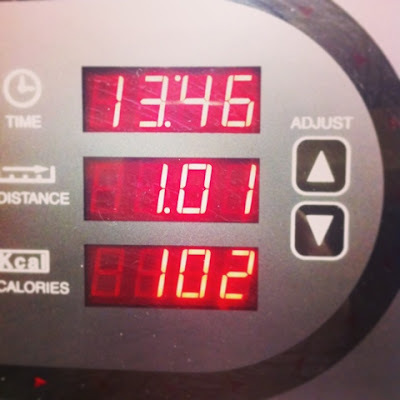 I said that I went to the gym, but we didn’t stay long; just long enough to beat my fastest mile (yeah!). I know that I will have to do some serious self motivating to get myself to the gym tonight. My husband is in night class, and I can already picture myself cuddled on the couch with my dogs instead of going to the gym. I need to push those thoughts out of my mind and just stick with my plan! So far, I have stuck to both my dinner and workout plans for the week! 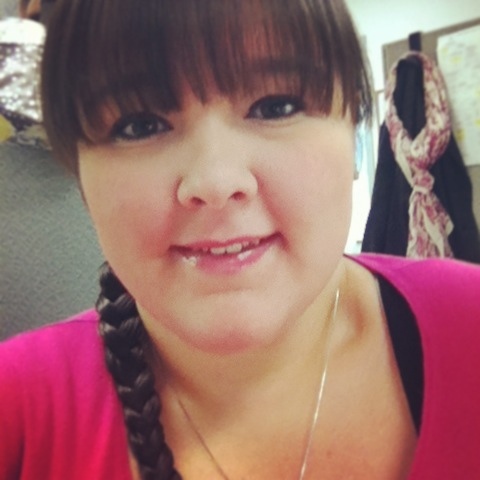 Making and sticking to a plan each week has really helped me through my weight-loss journey. 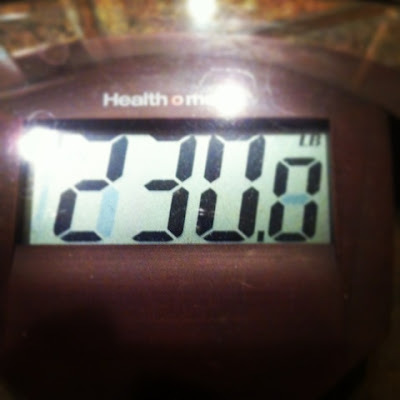 I was really excited to find that this morning I weighed-in at my lowest weight of 230 lbs. I am SO close to losing a total of 40 lbs. So far, I have lost 38 lbs. and I am feeling great! I had to take a picture this morning when I noticed my collar bone for the first time in 5 years! 38 lbs. later and they are coming out of hiding. I alerted the media (on twitter and instagram) at once! Awesome job! I'm still in the "wogging" phase, close to 20 minutes, but I know I'll get there! You are so inspirational! To motivate yourself to get to the gym remind yourself how happy you felt when you dropped two pant sizes, the number on the scale going down, the appearance of your collar bones,and the time on the treadmill. Lots of great reasons this week to stick with your gym schedule!